What if we could eliminate preterm birth by 2027? There’s an app for that. That is the moonshot goal of Babyscripts, a new model in pregnancy management that seeks to improve prenatal care and birth outcomes by supporting both pregnant moms and their physicians. The app has been adopted by several of the nation’s top health systems, including MedStar Health, George Washington University Medical Faculty Associates, Northwestern Medicine, UT Physicians, and Aurora Health. A graduate of Notre Dame’s Mendoza College of Business, Juan Pablo Segura is the Co-founder and President of Babyscripts, the only doctor-delivered digital health tool that employs remote monitoring and big data to detect problems sooner. The innovative Babyscripts technology has been recognized by Startup Health as a ‘Healthcare Transformer’ and by CTIA as a ‘Wireless Lifechanger.’ The venture was also a member of the inaugural GE Consumer Healthcare program. Segura is a sought-after speaker on the future of digital health and consumer empowerment in the healthcare space; he has given presentations at mHealth, HIMSS, WEGO Health, Health Datapalooza, and Health 2.0. Today Segura discusses how the Babyscripts mobile app can improve birth outcomes, more rapidly detect at-risk pregnancies, facilitate patient-doctor communication between office visits, improve patient satisfaction, increase reimbursement for obstetricians, and lower overall healthcare costs. Listen and learn how the Babyscripts team has ‘labored’ to create and test a groundbreaking, evidence-based mobile app available only through obstetricians. 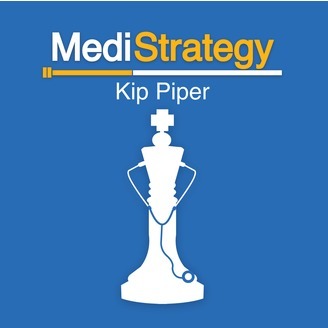 The MediStrategy podcast offers informative interviews with healthcare leaders and insights on hot business and policy issues in Medicare, Medicaid, and health reform. Health executives, policymakers, entrepreneurs, authors, and other influencers share challenges and opportunities in America’s rapidly changing $3.2 trillion health care system. 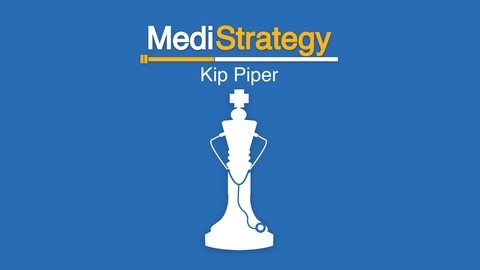 MediStrategy is hosted by Kip Piper, a top expert on Medicaid, Medicare, and health reform. A prominent consultant, speaker, and author, Kip Piper advises health plans, state Medicaid agencies, hospitals and health systems, provider associations, life sciences companies, and investment firms.